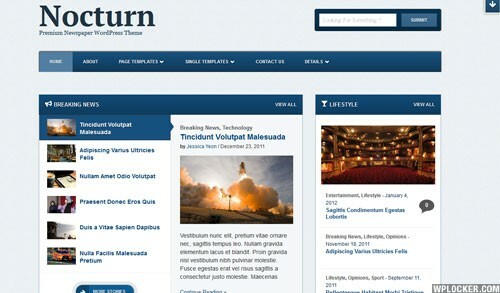 Turns your website into a professional & attractive news/magazine site Nocturn is a clean, easy to read architecture that is primarily focused on the content. With this theme you could turn your website into a professional & attractive newspaper or magazine site very easily. You can write and organize your news and stories into categories, all through the user-friendly and convenient WordPress interface.